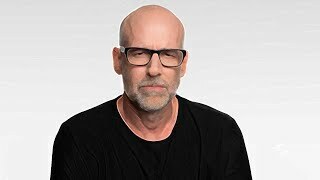 Scott Galloway is a clinical professor of marketing at the New York University Stern School of Business, public speaker, and entrepreneur. He's the founder of digital intelligence firm L2 and Firebrand Partners (founded in 2005), an activist hedge fund that has invested over $1 billion in U.S. consumer and media companies. In 1992, Galloway founded Prophet, a brand and marketing consultancy firm that employs over 350 professionals in the United States, Europe, and Asia. Worth more than $2.3 trillion combined, the Big Four (Apple, Amazon, Facebook, and Google) continue to grab share from media companies, brands, and retailers. Scott Galloway, Professor of Marketing at the NYU Stern School of Business and Founder of L2, will showcase how the traditional rules of business don’t apply to the Big Four and identify ways that brands and companies can fight back. 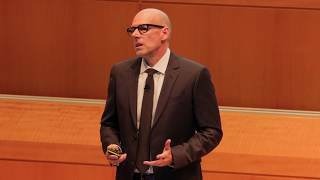 In this keynote session from Amazon Professional Sellers' Summit NYC 2017, digital mastermind, entrepreneur and professor of marketing at NYU Stern School of Business, Scott Galloway explains how Amazon is changing the future of retail and which brands are ruling and will continue to shape the face of the digital marketing space. 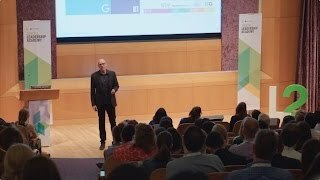 In his talk at L2’s Digital Leadership Academy, Scott Galloway argues that advertising is becoming less essential to brand building as consumers are discovering products with tools like Google, Amazon, and TripAdvisor. The brand is no longer on the tip of the tongue, it’s what Google says it is. Furthermore, wealthy shoppers are paying to avoid advertising altogether. However, it is not all bad news for brands even though it might be for traditional ad men (appearing less and less often on the cover of BusinessWeek). Winners in this new age are not always the biggest spenders on ads, but innovators in product, supply chain, and influencers.